Today, 85% of the world’s population has access to a mobile phone with voice and text capabilities. Five years from now, in 2017, the same amount of the global community will have access to high-speed 3G Internet through mobile phones, finds a new report from Ericsson. By 2017, there will be 9 billion mobile subscriptions. Half of the world’s population will have a 4G connection, and there will be 3 billion smartphone subscriptions. To compare those numbers with today’s figures, there are currently 6.2 billion mobile subscriptions held by 4.2 billion subscribers (many of whom have multiple subscriptions). At the end of 2011, there were 700 million smartphone subscriptions worldwide. The company’s 27-page Traffic and Market Report for June 2012, released Tuesday, forecasts the future of mobile across the planet. Ericsson predicts mobile Internet traffic will increase 15 fold by the end of 2017, as mobile becomes the only means of accessing the Internet for many people. 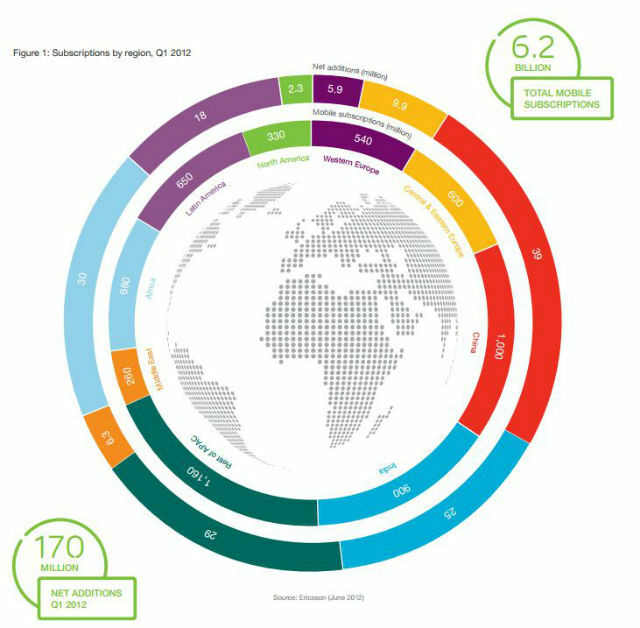 The report also breaks down the world’s regions by growth of mobile connectivity. 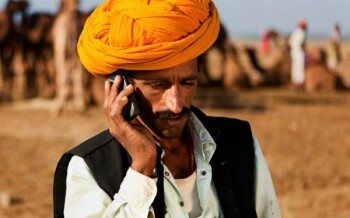 So far in 2012, China has added the most new mobile subscriptions with 39 million. India comes in second, with 25 million new subscriptions.